Are you thinking about hiking Mt. Fuji? Mt Fuji is such a popular topic. Everyone wants to hike Mt. Fuji, but not everyone is prepared for the treacherous hike that it is. 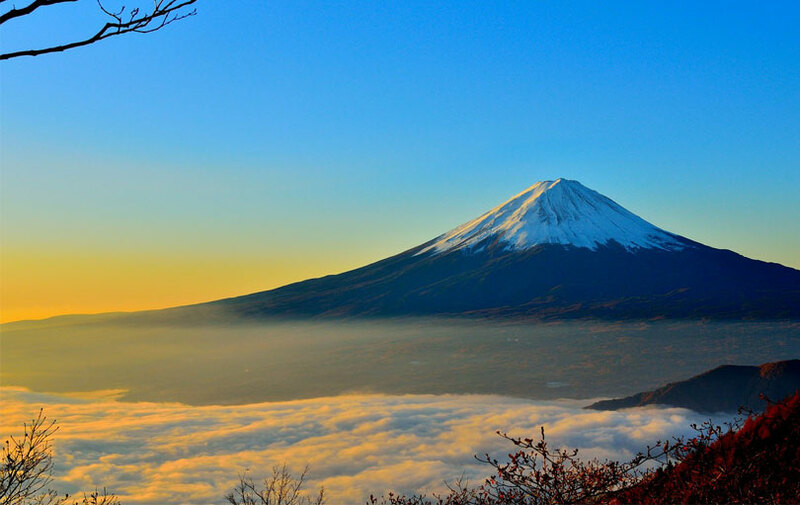 Mt Fuji stands tall at 3,776.24 m (12,389 ft), in other words it is NOT a short hike. If you are seriously thinking about doing it there are a two things you need to think about and do to prepare. First, you have to mentally prepare yourself for what can be one of the most physically exhausting hikes of your life. You may have hiked a few mountains, but this isn’t a typical hike. The hike itself is a minimum 7 to 8 hours, and that’s if you’re constantly moving and your stops are minimal. There is also a possibility of rain, which gets higher during August, which is monsoon season, that can slow you down! Second, you have to be prepared. You can do it in running shoes, but I recommend hiking boots in case it rains. You will need clothes to keep you warm and dry, so waterproof jackets and pants would be smart! Lastly, you will need some sort of light. Whether its a phone light or a headlamp, it gets fairly dark and you need to be able to see where you’re going. I went in August of 2017, but luckily my group and I didn’t experience hiking in the rain. It wasn’t until our way down that we got a light drizzle. Overall, the hike itself wasn’t too difficult, but stamina is needed. It’s the altitude that really challenges most people. For some, it becomes difficult to breathe, while others get physically sick to their stomach. Personally, I felt like I couldn’t breathe so I had to buy two oxygen tanks, each costing around 1500 yen. As for clothing, I was not prepared, but my housemate Ayaka, who just happened to be my size, let me borrow her clothes and her hiking shoes. If you are not prepared and you want to do this hike, you can rent outdoor gear at Yamarent. As for a light, I just used my phone in a waterproof pouch that hung on my neck and I brought a portable charger to charge it as soon as it was close to dying. This hike is very challenging, and it will force you to push yourself both mentally and physically, but it’s definitely worth it! There are many horror stories, but everyone is different and If this is something you really want to do..well I say GO FOR IT.